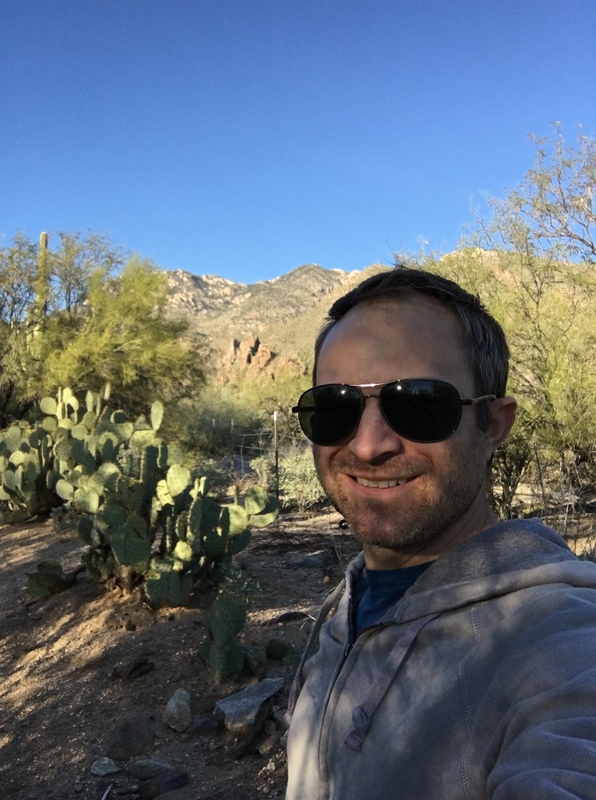 Monsoon season is both a blessing for its rain, and a curse, for how much gets into the compost bins. It dries out if it’s turned every day. Yesterday it rained hard, and this morning it sprinkled for a long time. 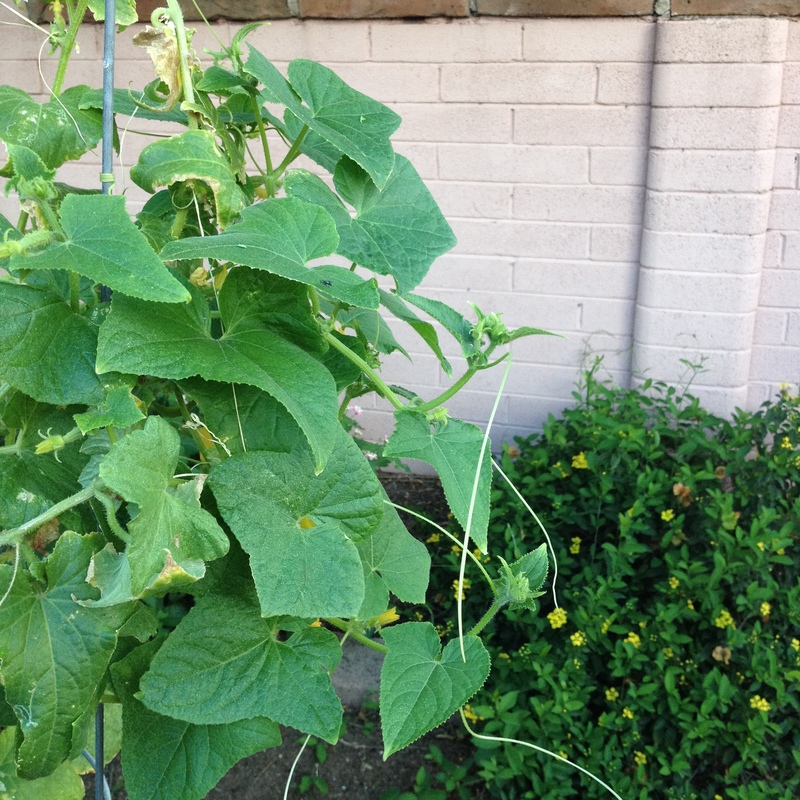 So the cucumbers are getting a respite from the harsh desert sun, and are also benefiting from the rains. New growth has sprung up and older leaves are paying the price for it. The good news is that there is a wealth of new cucumber flowers in these bushes, and even a few developing future-pickles. Gratuitous use of my favorite trimmers. First, I counted around and found two little one inch babies, and two or three showing signs of developing into mature cucumbers. One looked as if it was headed that way but decided to turn yellow. I hate that!! Just as they begin to plump, womp! They wither on the vine. We have a hummingbird that decided to nest on the icicle Christmas lights on the porch. I caught her drinking out of the cucumber flowers, so she may be helping me out with pollination big time. Mostly I think it’s the ants. 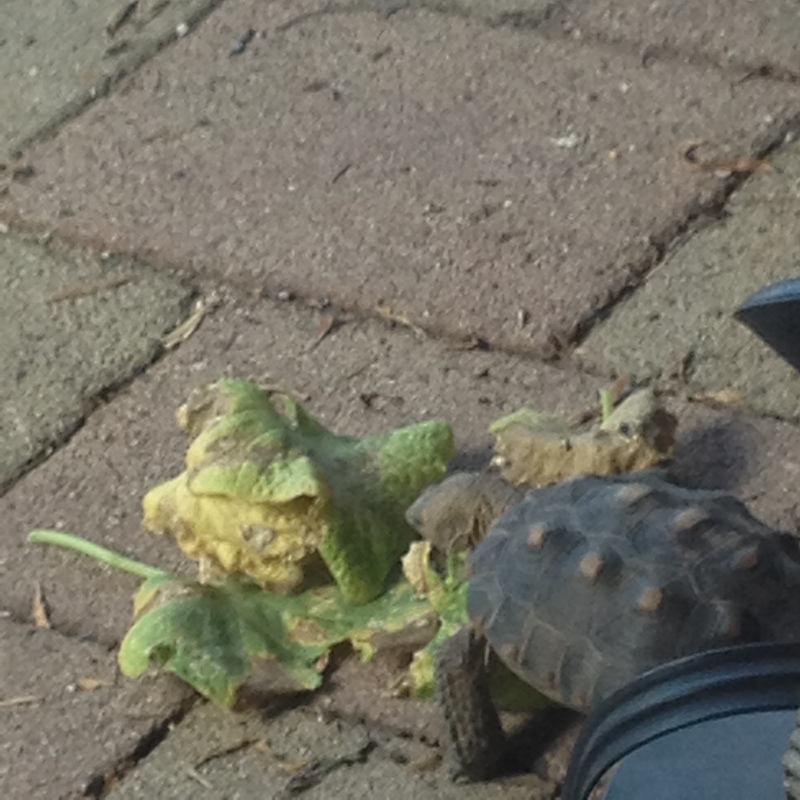 I decided that, because the compost has enough leaves and things from the garden, I would give the tortoise (native to the area) the scraps that I cut off. Forgive the awful picture, I ran inside when mosquitoes started dive bombing my ankles. Thank God for natural compost/manure makers. She’s a real life-saver. The best leaf shredder and grass clipper short of goats! 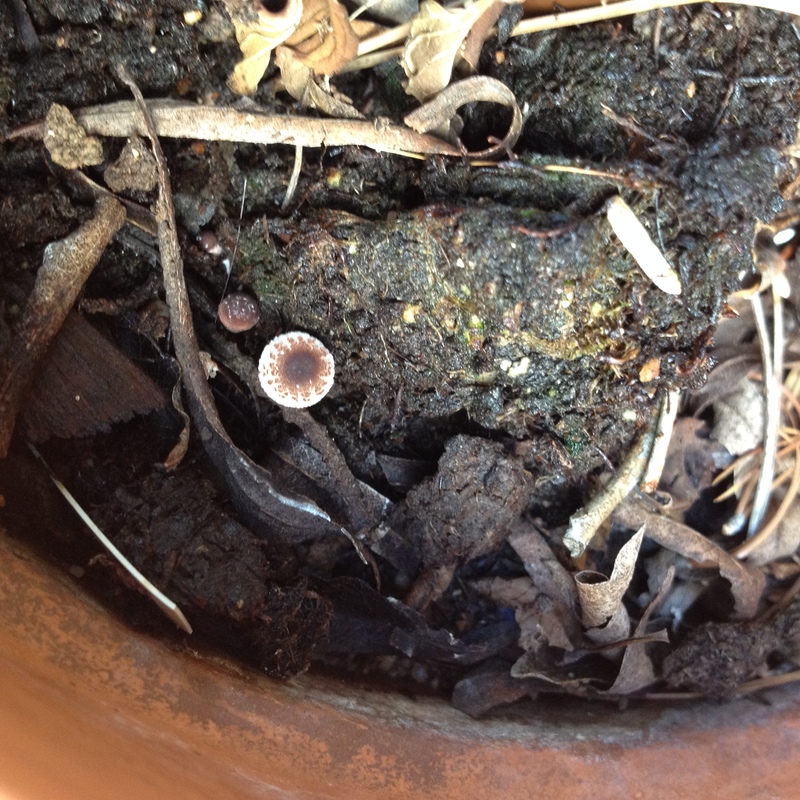 Lastly, as a bonus, this tiny mushroom growing in a pot of soil where there will be mint in the near future. Previous Previous post: Now That’s A Pickle!